Andrea Geyer (b. 1971, Freiburg, Germany) studied photography and film design at the Fachhochschule Bielefeld and fine art at the Braunschweig University of Art, both in Germany. She is a 2000 graduate of the Whitney Museum Independent Study Program. Geyer lives and works in New York. Geyer’s work ranges across multiple media, incorporating text, photography, painting, sculpture, video and performance. It explores the complex politics of time, in the context of specific social and political situations, cultural institutions and historical events. 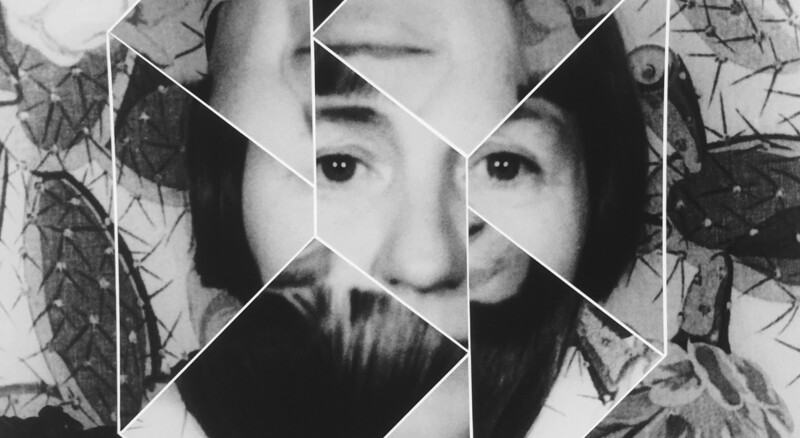 From her early investigations into urban environments, cultural landscapes and notions of citizenship to more recent research into women’s contributions to modernism, Geyer’s work continuously seeks to create spaces of critical, collective reflection on the construction of histories and ideas that are otherwise marginalised or obscured. In 2007, Geyer’s Spiral Lands was selected for inclusion in the twelfth edition of Documenta (directed by Roger M. Buergel in collaboration with Ruth Noak). A work of photographic and textual historiography, this project focused on the dispossession of land from American Indians and the role of landscape photography in this ongoing process of colonisation. A cycle of works in three chapters, Spiral Lands is a potent early representation of Geyer’s central strategy: critically oriented research materialised, often through female-identified characters and voices, that engage the viewer in the process of re-thinking the past in present times. Since then, Geyer has undertaken residencies and presented her projects at institutions around the world, from Tate Modern (in 2008, 2011) to her commissioned performance and installation Time Tenderness for the opening of the new Whitney Museum in New York in 2015. Bringing together rigorous research, original archival material from Juliana Force and Gertrude Vanderbilt Whitney’s papers and newly conceived texts in the creation of songs, choreographies and objects, the work explored the museumfounders’ visionary ambitions. It forms part of an ongoing strand of Geyer’s recent practice that focuses on the networks of women who have actively shaped today’s cultural landscape and their visibility in our contemporary museums, which originated during Geyer’s 2012–13 research fellowship at the Museum of Modern Art New York. Always rooted in specific social or institutional contexts, most recently this project took the form of a site-responsive installation at San Francisco Museum of Modern Art exploring the legacy of the museum’s founding director Grace McCann Morley. Geyer’s work has been exhibited widely at institutions including San Francisco Museum of Modern Art in California; The Museum of Modern Art, the Whitney Museum of American Art, Artists Space and White Columns, in New York City; Contemporary Art Museum Houston, Houston, Texas; A Space Gallery, Toronto, Canada; KINDL – Centre for Contemporary Art, Berlin, Germany, the Stedelijk Museum, Amsterdam; Red Cat and LACE, in Los Angeles; Tate Modern and Serpentine Gallery, London; Kunstmuseum St.Gallen, Switzerland; Göteborgs Konsthall, Gothenburg, Sweden; Generali Foundation and Secession, Vienna; Museum der Moderne, Salzburg; Govett-Brewster Art Gallery, New Zealand; the Turin Biennale; the São Paulo Biennial; and dOCUMENTA (12), Kassel, Germany. International public collections with Geyer’s work include the Museum of Modern Art in New York, the Whitney Museum of American Art, San Francisco Museum of Modern Art in California, Neue Galerie, MHK, Kassel, the Museum der Moderne, Salzburg and the Federal Collection of Germany.